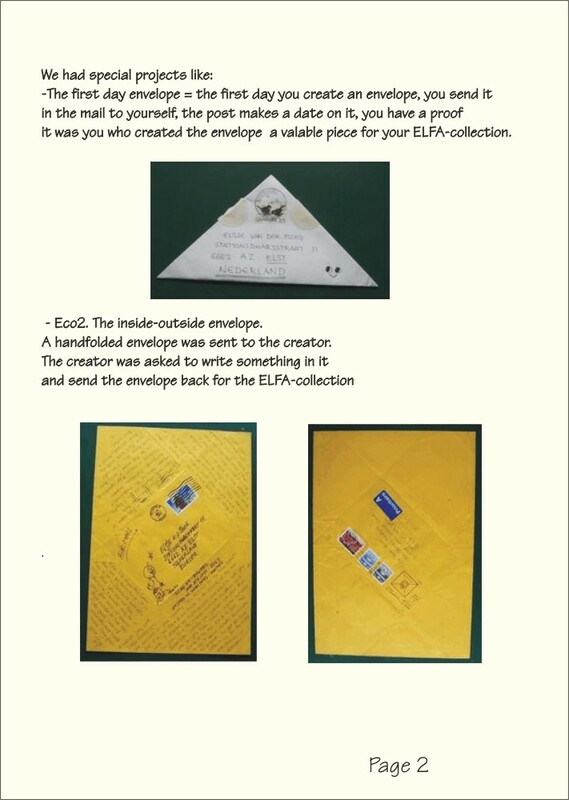 This page is dedicated to ELFA, The Envelope and Letter Fold Association. 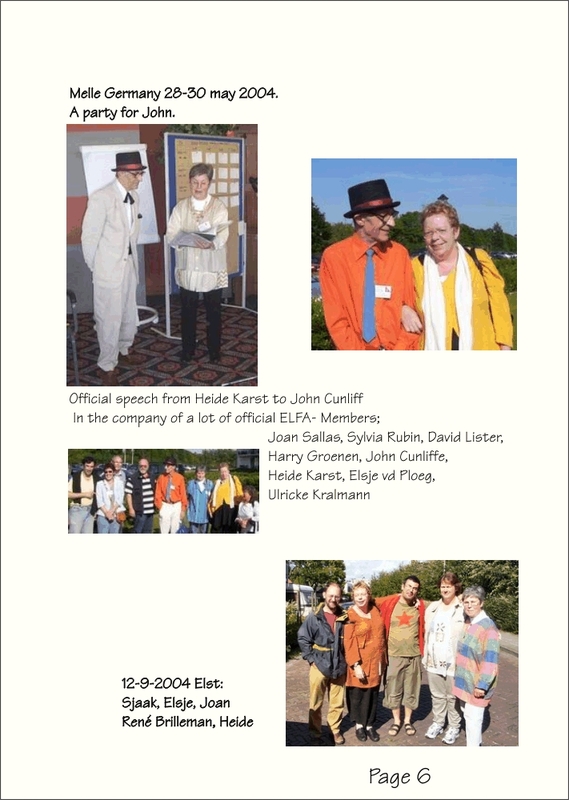 It was founded by John Cunliffe in 1988. 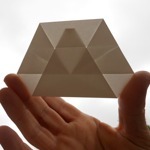 This previously unpublished envelope is recreated by Paul Jackson during the Origami Deutschland convention in Bonn in May 2015. He remembered it for me from way back and gave me permission to diagram and publish it on this website. Thank you, Paul! This year (2015) during the Dutch convention in Mennorode we held an envelope design contest. This is the result of that (in Dutch). I will add the diagrams of the winners later to this webpage. This envelope is the winner of the Envelope Design Contest held during the Dutch Convention 2015. 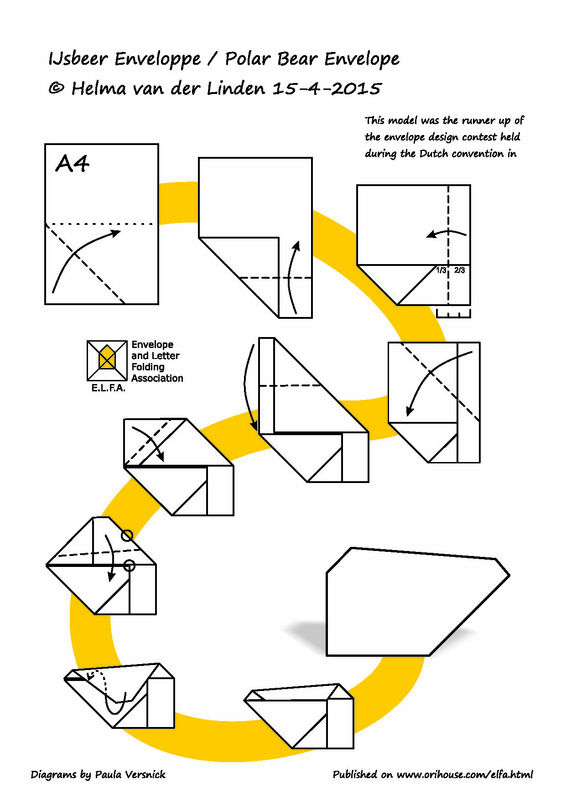 This envelope is the runner up of the Envelope Design Contest held during the Dutch Convention 2015. This envelope is one of her designs, simple but elegant. This is Elsje's famous Pepi envelope. Elsje also made a very good symbols-page. Oblique letterfold, a traditional model. Diagrammed by Elsje van der Ploeg. 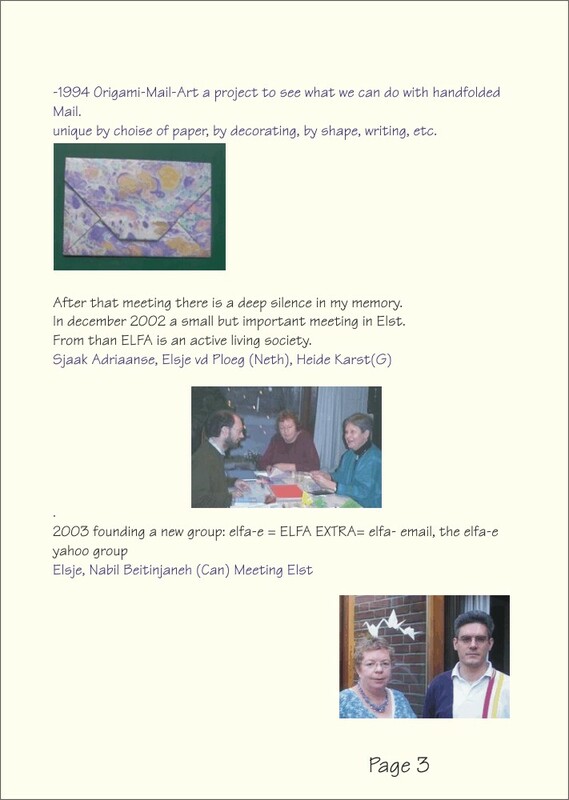 This envelope is also published in ELFA booklet 4th edition page 39. Very nice envelope made from 2 A4 sheets. 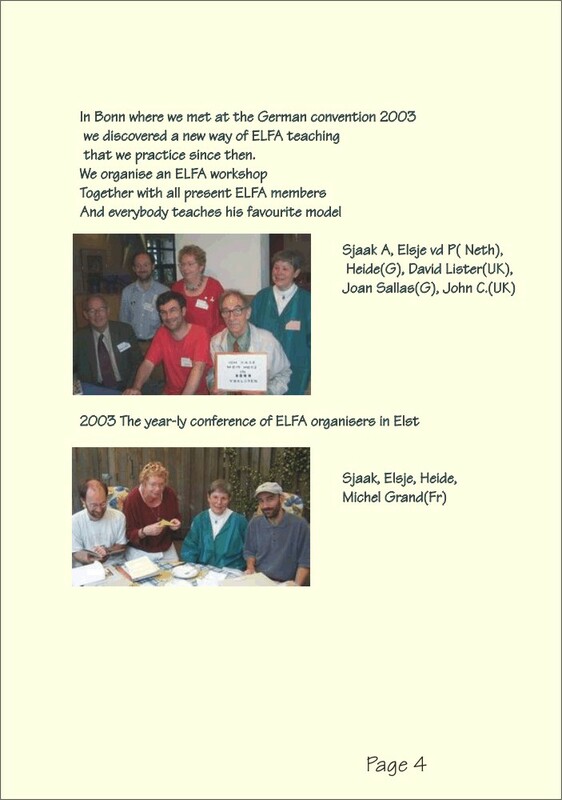 Elsje van der Ploeg was the driving force behind ELFA for many years. Sadly she passed away in 2014. She left a big legacy. 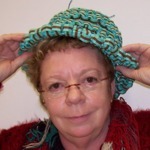 I have copied pieces of her website on this page. 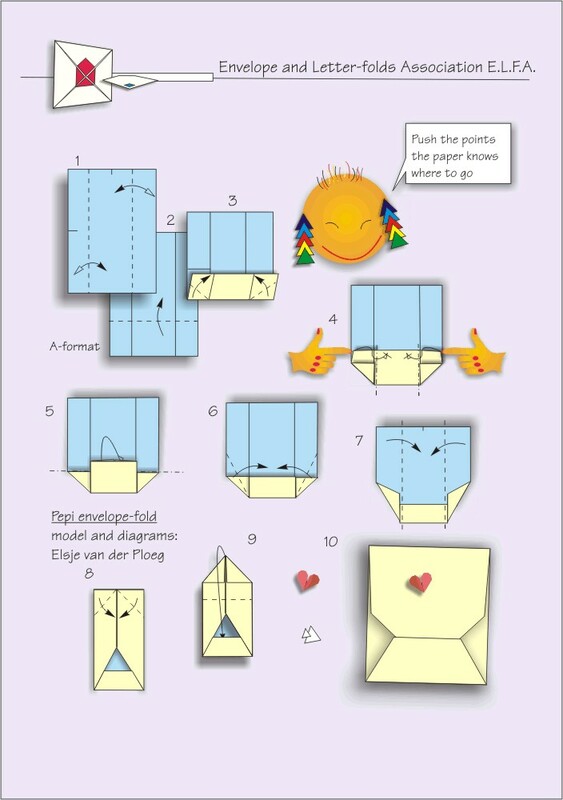 This envelope is very easy and elegant, it starts with a fish base and everything fits. Since 2003 there is a Yahoo! 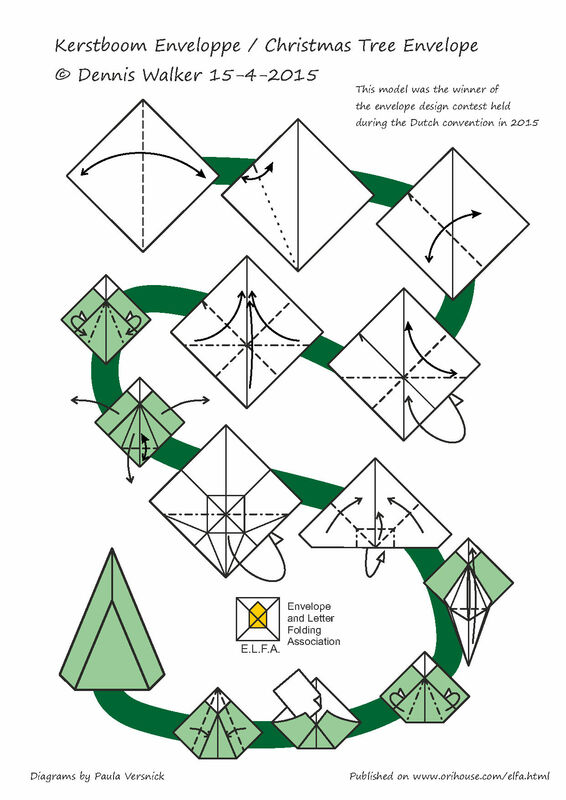 group dedicated to letterfolding. This group is maintained by Nabil from Canada. 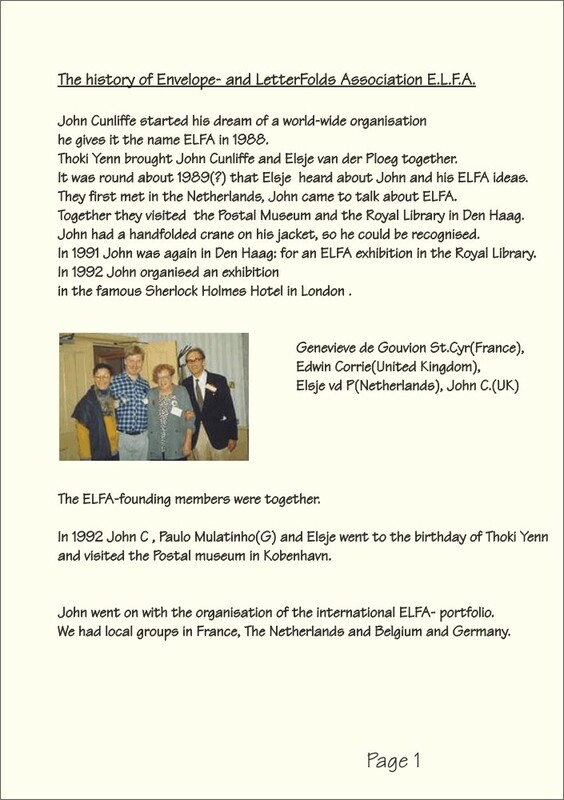 All the letter folds on this website are published in ELFA booklets 1st and 2nd Edition by John Cunliffe. John gave permission to do so. 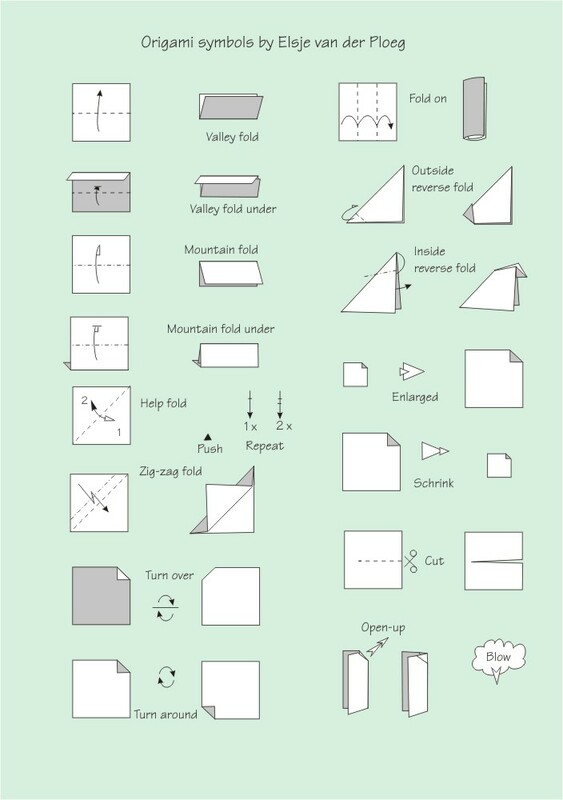 Only, the creators of the envelopes are mentioned in the back of the original publication, and not with the diagrams themselves. 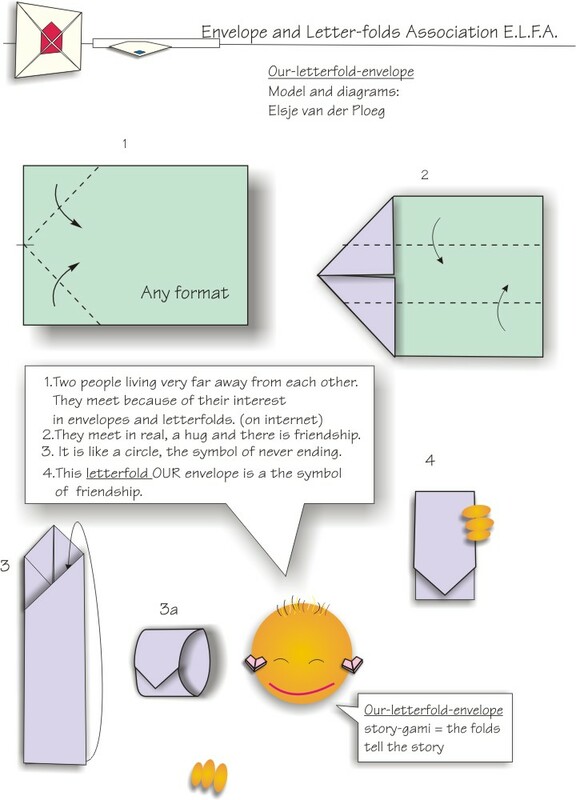 Gerard Hughes doesn't mention the creators of the envelopes. Here you can find a list of the creators of the models on this website. 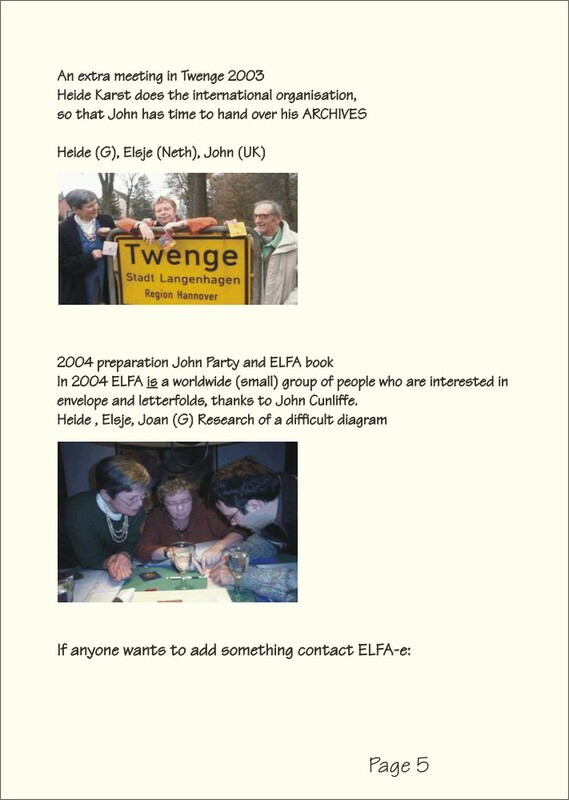 The 14th of February is the official worldwide ELFA day, it would be nice if you send some folded letters to friends and other letter folders on that day. Elena was inspired by an envelope by Swamy when she created this envelope. One of my own envelope designs. 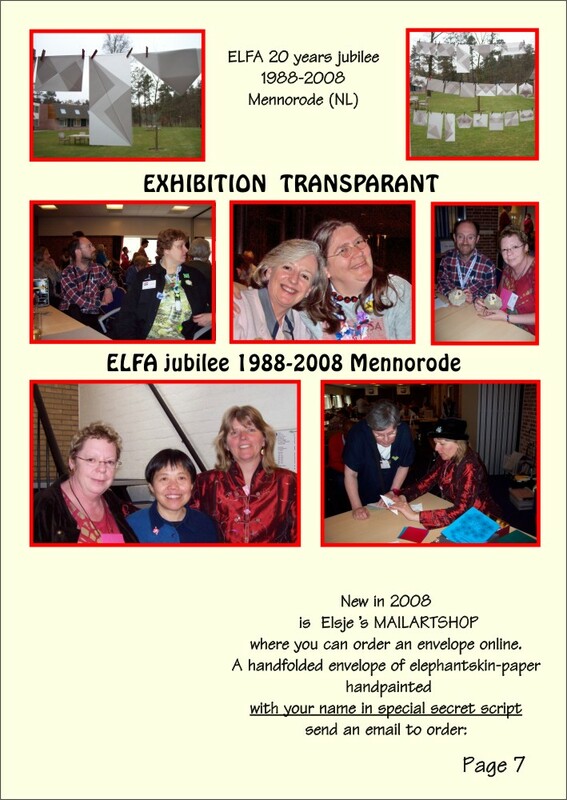 Michel dedicated this envelope to Elsje. 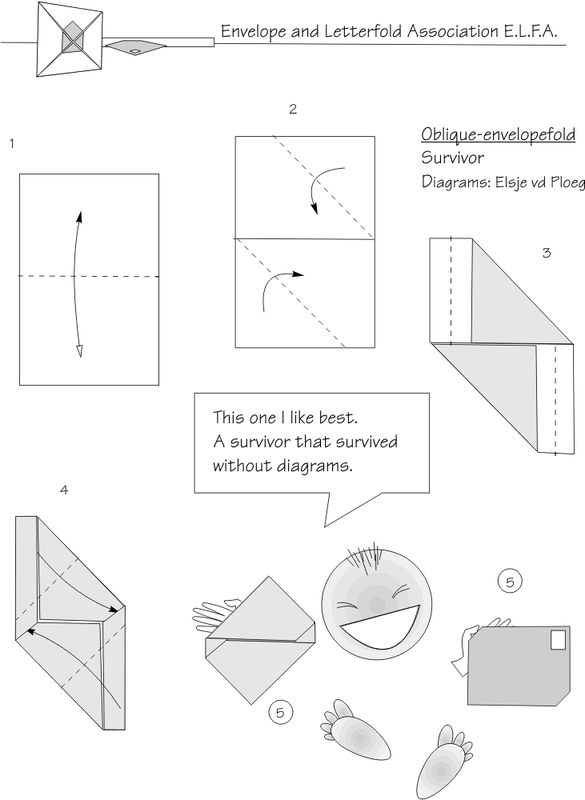 On the net there are some discontinued blogs dedicated to envelopes.